In line with the directives of the Deputy Prime Minister and Chairman of Bahrain Mumtalakat Holding Company, H.E. Shaikh Khalid bin Abdulla Al Khalifa, the Chief Executive Officer of Bahrain Tourism and Exhibitions Authority (BTEA), H.E. Shaikh Khaled bin Humood Al Khalifa held a meeting with Acting Chief Executive Officer of Southern Tourism Company, Captain Abdulla Al Murbati, to discuss ways of increasing the number of tourists that visit Hawar Islands. During the meeting, under the directives of the Deputy Prime Minister, both parties discussed the plans currently under way to develop and transform Hawar Islands into an attractive tourist destination; as well as increasing collaboration efforts in order to prepare an integrated program with the aim of increasing tourists visiting Hawar Beach Hotel and the surrounding area through hosting events and activities throughout the year. “We appreciate the confidence shown by H.E. Shaikh Khalid bin Abdulla Al Khalifa in trusting the BTEA to position Hawar Islands as a major attraction in the Kingdom. During the meeting with Southern Tourism Company, we discussed the unique and distinctive tourism offerings of Hawar Beach Hotel, which will further contribute to the Kingdom’s tourism sector and the national economy as a whole,” said the CEO of BTEA, H.E. Shaikh Khaled bin Humood Al Khalifa. 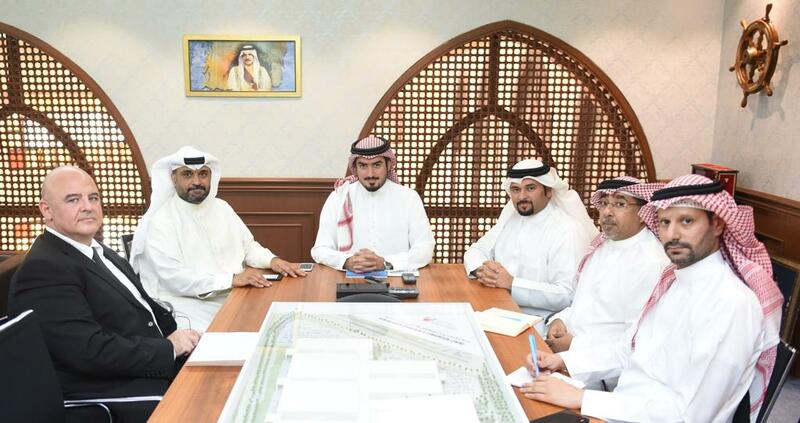 Further commenting on the meeting, Acting Chief Executive Officer of Southern Tourism Company, Captain Abdulla Al Murbati said, “The meeting held with H.E. Shaikh Khaled bin Humood Al Khalifa was extremely fruitful, and provided us with the opportunity to collaborate more closely in order to highlight Hawar Islands’ offerings, particularly Hawar Beach Hotel and the surrounding area; as it is truly unique from the other islands in the Kingdom.”“The additional efforts in driving tourists to Hawar Islands throughout the year have come as a result of the increase we have witnessed in the number of tourists visiting the Islands as of the start of 2018 up until the third quarter, in comparison to the same period last year. Moreover, there was an increase in the occupancy rate as well as the number of daily trips taken.” Captain Abdulla Al Murbati added. The BTEA’s strategy focuses on developing the Kingdom’s tourism sector by offering unique tourist attractions, further positioning it as an ideal tourist destination on a regional and international level under the slogan of ‘Ours.Yours.’, which contributes towards the Kingdom’s economy and the 2030 Economic Vision. Southern Tourism Company is owned by Bahrain Mumtalakat Holding Company – the government’s sovereign wealth fund – and specializes in operating the hotel and sea transportation to and from Hawar Islands.